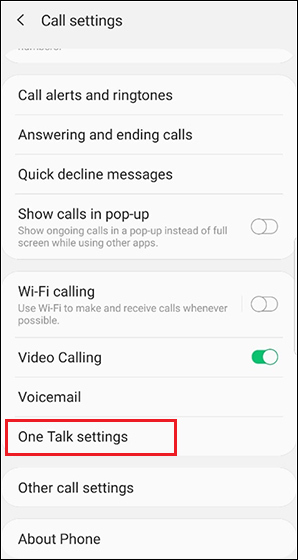 A limited set of these functions are available on the iOS Native Dialer device settings while others can be managed through Feature Access Codes. 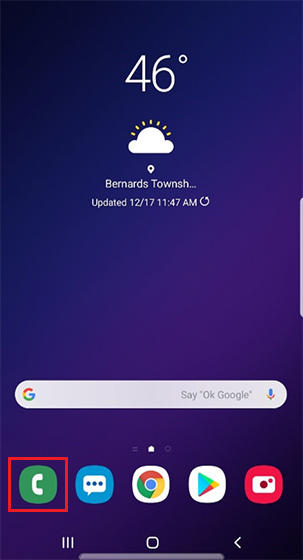 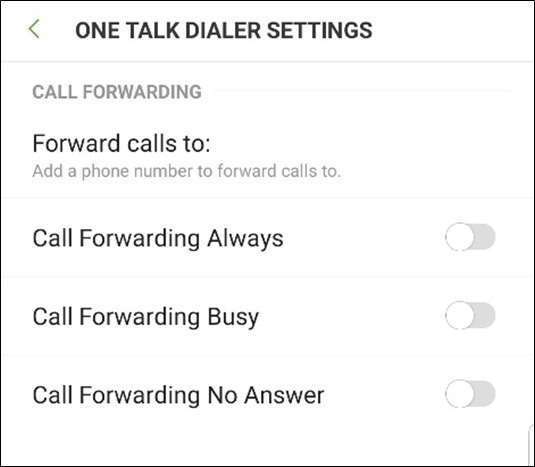 Open the One Talk app. 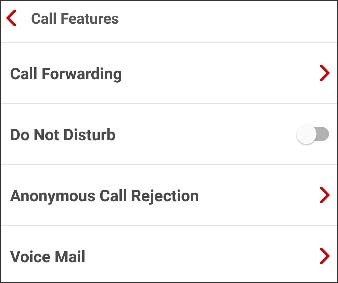 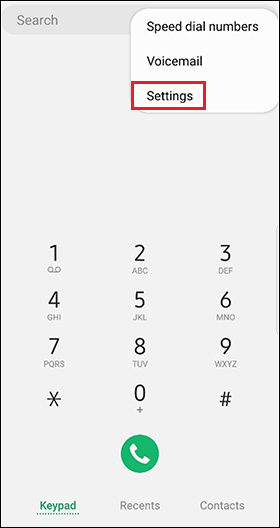 Tap One Talk settings to display call forwarding options.